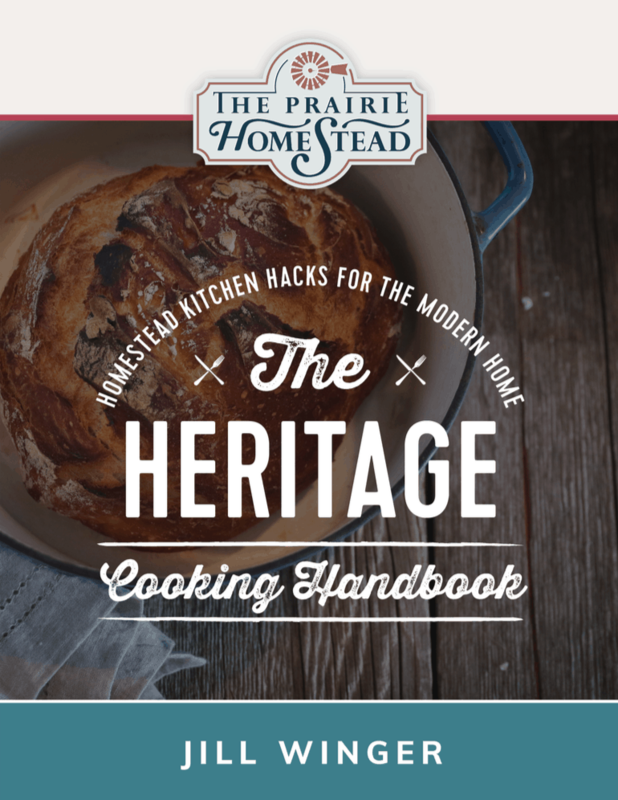 Considering we’re just over a week away from The Prairie Homestead Cookbook finally hitting shelves (It’s been the works for two years…. aka an eternity) and I’m getting so stinkin’ excited I can barely stand it, I figured it was high-time to share a recipe from the book! Eeeek! Over 105 of the recipes my family actually eats on a daily basis. These are my tried-and-true standbys! 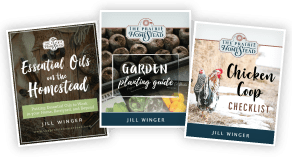 Because I can’t help myself when it comes to talking about homesteading, there is an entire section with practical advice and details for starting your own flock of chickens, growing veggies, keeping a dairy animal, and more! I wanted this cookbook to be like we were hanging out together in your kitchen makin’ stuff, so I’ve included tons of troubleshooting tips for homemade broth, butter, pickles, canning, and more. 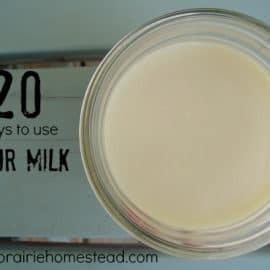 My goal is for this to be your go-to homestead kitchen resources. Joel Salatin wrote the foreword for it, which made me have a total squealing fangirl moment, and I still tear up when I read what he wrote. 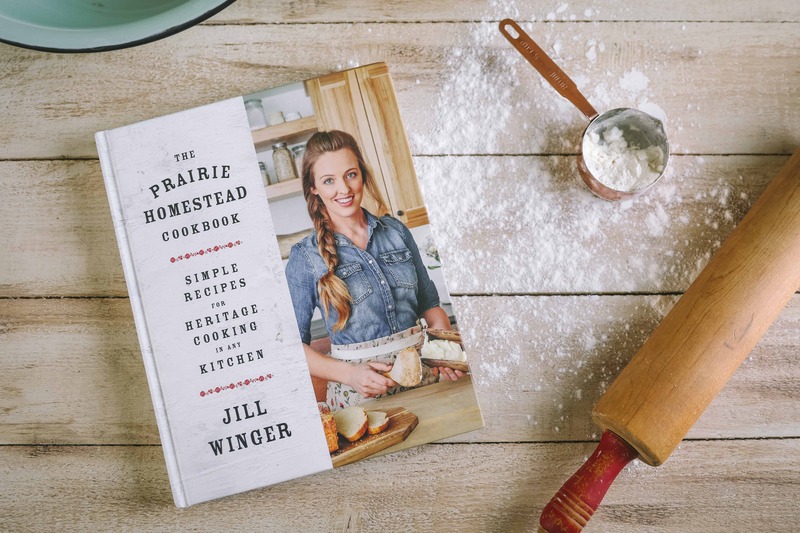 The book will hit bookstores everyone on April 2nd, but you can preorder it now to have it delivered right around launch day, and I have a GIANT pack of bonuses to send you, including a free buttermilk starter, ebooks, cooking videos with me, printables, & more. 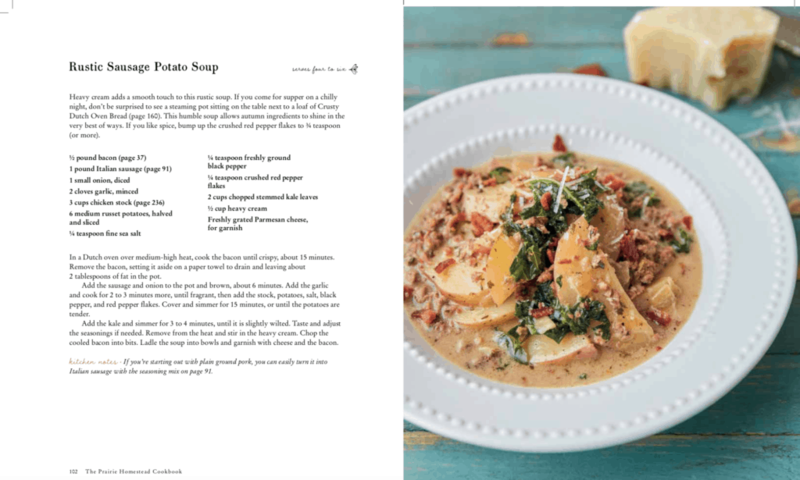 Click here to see inside the cookbook and check out the bonuses! Now onto the recipe! This is one of my TOP FAVORITE soups of all time. 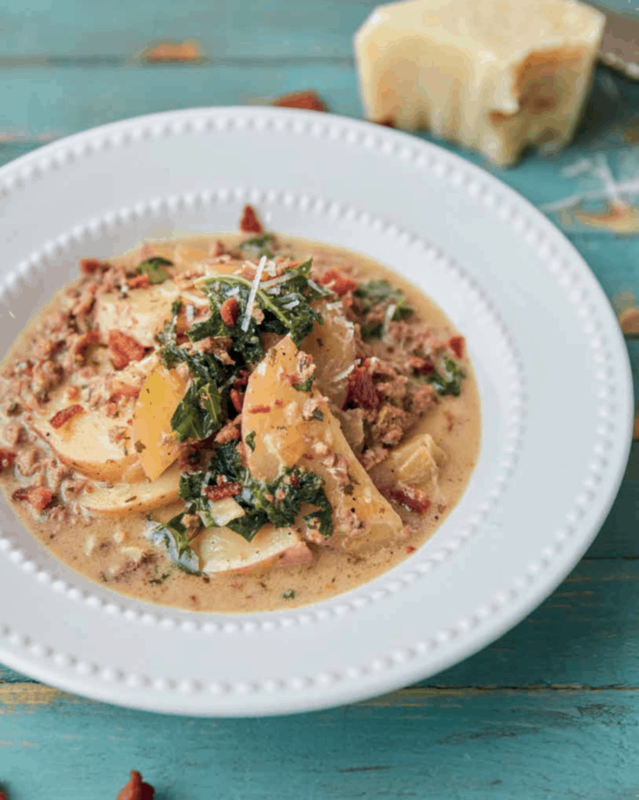 It’s sometimes called Zuppa Tuscana, and it’s savory and creamy and so very satisfying. 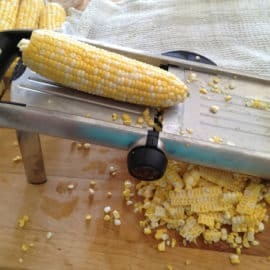 I make at least twice per month when it’s cold outside. You just gotta promise me you’ll only use really good (preferably homemade!) chicken stock when you make it, because that makes all the difference! In a Dutch oven over medium-high heat, cook the bacon until crispy, about 15 minutes. Remove the bacon, setting it aside on a paper towel to drain and leaving about 2 tablespoons of fat in the pot. Add the sausage and onion to the pot and brown, about 6 minutes. Add the garlic and cook for 2 to 3 minutes more, until fragrant, then add the stock, potatoes, salt, black pepper, and red pepper flakes. Cover and simmer for 15 minutes, or until the potatoes are tender. Add the kale and simmer for 3 to 4 minutes, until it is slightly wilted. Taste and adjust the seasonings if needed. Remove from the heat and stir in the heavy cream. Chop the cooled bacon into bits. 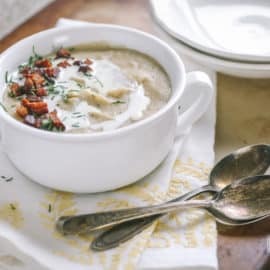 Ladle the soup into bowls and garnish with cheese and the bacon. If you don’t have Italian sausage on hand, you can quickly make your own using ground pork and add spices like these as you brown the meat. The bacon is optional, I guess. But truly, bacon should never be optional. If you don’t have kale, spinach works too. Congratulations on your cookbook! It sounds like a wonderful resource. I shall have to look for it when it is released. 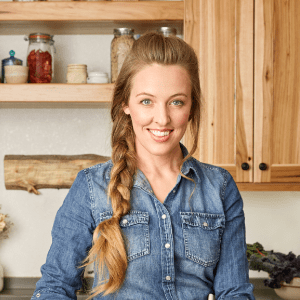 Looking forward to your new cookbook! I pre-ordered on Amazon. Thank you Betty! I appreciate your support! 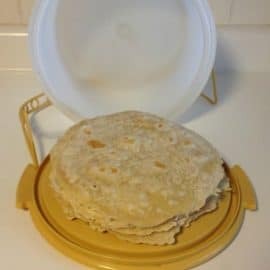 I bought the cooking course so I was e-mailed this recipe. I made it a few nights ago. My husband LOVED it, and my teenage boys gobbled it too. It is a keeper when I can please all three of them….with the same meal. 😉 My only modification will be to cube the potatoes next time instead of leaving them in large chunks. I bought the cookbook and especially look forward to trying some of the breakfast dishes. Thanks! Looking forward to your new book. I’ve already pre-ordered on Amazon! I pre-ordered your recipe book and can’t wait to try out all of your recipes. I love Zuppa Toscana and haven’t made it in awhile. I’ll be using your recipe the next time I do. I’m sorry. I meant to make a comment bit not as a thread on yours. Oops. I’m sorry. I meant to make a comment but not as a thread here. Oops. Great recipe. In your photo in the recipe just amazing. Waiting for your book coming out to learn more about your culinary secrets. Great recipe. In your photo in the recipe just amazing. Waiting for your recipe book coming out to learn more about your culinary secrets.